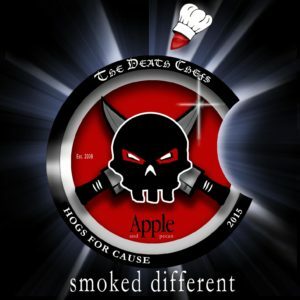 Announcing the 2015 Official, Death Chefs, Hogs For The Cause, Collector Edition T-Shirt. Order yours today. Together we can do something great! Mandeville, LA – Exclusive Transcript – “I can still remember, when the court challenge was up for Proposition 8, Ken Mehlman showing up on television, on the Clinton News Network, with Rob Reiner, the famous liberal. This is your Republican Party at work, by the bye. People ask me: Why aren’t you a Republican anymore? I’m still registered as one. As Ronald Reagan said, he didn’t leave the Democrat Party, the Democrat Party left him.” Check out today’s transcript for the rest…. HERE’S YOUR FREE AUDIO PREVIEW OF THIS CLIP OF THE DAY – TO HEAR THE ENTIRE EPISODE JOIN FOUNDERS PASS NOW AND FOR A LIMITED TIME YOU CAN SIGN UP AT A 50% DISCOUNT-HURRY WHILE THE PROMOTION LASTS! the Old Testament, in the book of the Holy Bible. It is Noah’s name that is remembered. None of those that perished in the flood are remembered. They’re a statistic. Remember that. For 100 years, Noah did what God commanded him to do. While he was building his ark, he was going out and telling everyone that would either listen or not listen to him: You better stop. I’ve been told – you see that ark over there? This is not just my hobby time project here. This is not so I can get on the do-it-yourself channel. I was told that I better build this thing and I better invite all the holy people I can find and a bunch of animals, two by two, because God is going to bring a great, destructive flood because you guys won’t stop doing what you’re doing. Remember that. But inside Bush’s orbit, some believe his personal feelings on the subject may have evolved beyond his on-the-record statements. Three Republican supporters who have recently spoken with Bush as he’s blitzed the GOP fundraising circuit told BuzzFeed News they came away with the impression that on the question of marriage equality, he was supportive at best and agnostic at worst. Mike: So what does this also mean if Bush is to be the standard-bearer – to me this is – folks, I don’t even know why they’re going to have a campaign. This is a foregone conclusion, as I told Andrew Wilkow on Friday’s broadcast. Keep this number in the back of your head: half a billion dollars. Who is capable of raising half a billion dollars? One candidate and one only I think, Jebediah Bush. That is why he will ultimately be the nominee. This is the future then of the Republican Party, sad but true.